Healthcare trends from specialty pharmacy to accreditationhave been gaining traction this year in the healthcare world. 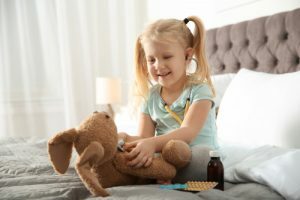 Healthcare trends from specialty pharmacy to accreditationhave been gaining traction this year in the healthcare world. We have been keeping an eye on three additional healthcare trends that we expect to hugely impact the healthcare industry through the end of the year and continuing on to 2016. From ICD-10 to telehealth, let’s explore these important trends and what they mean for healthcare! October 1, 2015 is the much-anticipated roll out date of ICD-10, the 10th revision of the World Health Organization’s system to classifying “medical records, including diseases, symptoms, abnormal findings and external causes of injury.” The updated codes, which will increase from just under 13,000 ICD-9 codes to over 69,000 codes in total, will be one of the biggest challenges that the healthcare industry faces this year. Even though healthcare organizations have been preparing for the roll-out of ICD-10 since 2014, the challenge comes with the differences between the two versions. Although it has been a daunting task for many organizations, the AHIMA Foundation stands by the consolation that the new codes will be more robust and up-to-date, which could in turn streamline billing and coding procedures. The sub-trends expected to come of the ICD-10 implementation are an influx in coding education, and testing. Embracing these sub-trends will be crucial for making a smooth transition to ICD-10. The transition to ICD-10 will be mandatory for any organization covered by HIPAA. The Affordable Care Act has brought a lot of changes to the healthcare industry and one of those changes is a shift from fee-for-service methods of payment to bundled payments. 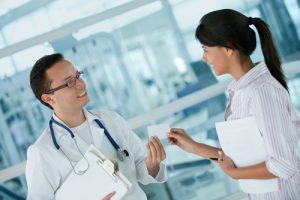 An increasing popular alternative to classic healthcare payment methods, bundled payments group “professional and technical payments into one for a single admission or episode of care.” The bundled payment method is designed to give an organization more control over their budget, in turn increasing cost efficacy and quality care. In 2013 The Centers for Medicare & Medicaid Services launched Bundled Payments for Care Improvement (BPCI) Initiative, which breaks down bundled payment in to four models of care to help target and hone in on the different types of bundled payments used by healthcare entities. The current CMS initiative on the table for bundles payments involves hospitals absorbing the risk for hip and knee surgeries. These two types of surgeries are the most common procedure Medicare beneficiaries receive and the CMS is hopes that by focusing on episodes of care, hospitals and physicians will have incentive to work together to provide better and more efficient care. 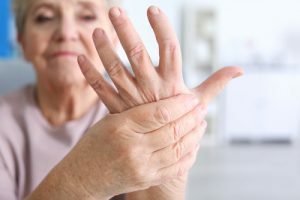 The Comprehensive Care for Joint Replacement, which began as voluntary, will now “require hospitals in 75 geographic areas to participate in bundled payments for a period of five years beginning Jan. 1, 2016.” Some states have already implemented mandatory bundled payment programs and it’s predicted that within the next year other states will follow, perhaps leading to a national wide focus on mandatory bundled payments. Telehealth is slowly revolutionizing the healthcare world for the better. 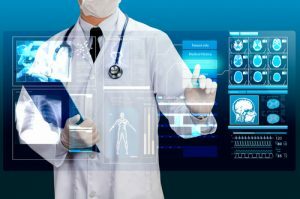 From remote patient monitoring to distance education, telehealth practices and services are benefiting not only healthcare providers and organization but also patients. As younger patients start to expect more telehealth services and rural healthcare organizations opt to utilize the major benefits of embracing telehealth, the telehealth industry is expected to grow $5 billion over the next five years. Major Telehealth trends we expect to see within the next year include general technology improvements, app development, video conferencing, a greater focus on the digital world and privacy, and an increase in real-time data and patient monitoring. Telehealth is already seen as a cost-saver for smaller healthcare organizations in addition to helping streamline and improve post-acute care and re-admissions. 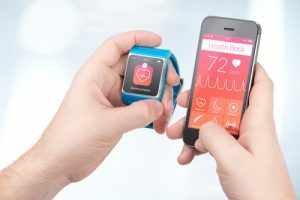 Now with better technology, more powerful internet connections, and major “changes in reimbursement and healthcare policies” telehealth is expected to be one of the biggest health IT trends of 2015.